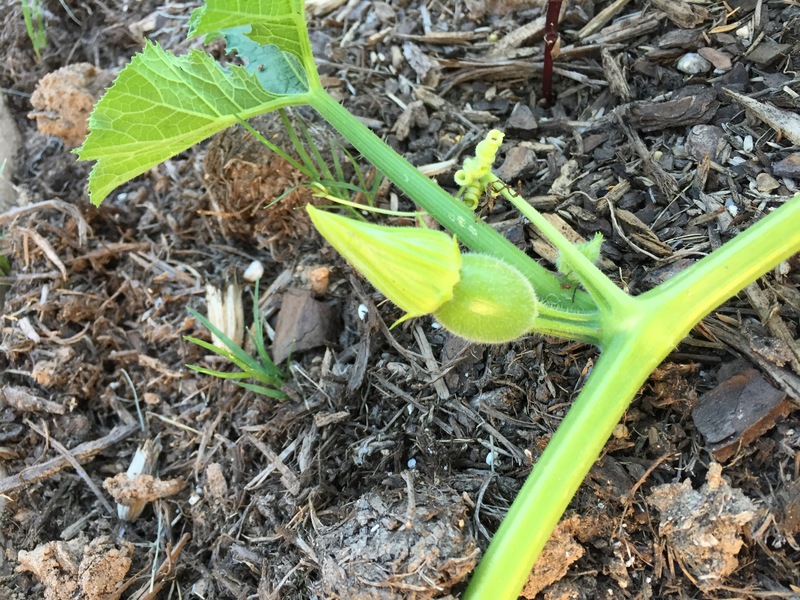 On the same day I spotted the first tiny little pumpkin growing on Wanda, my first-born fall pumpkin plant, I also discovered what I think must be the work of a squash vine borer. I can’t believe I didn’t notice the damage before, but after reading an article about the bug and taking a closer look at the plant, that’s what it has to be. 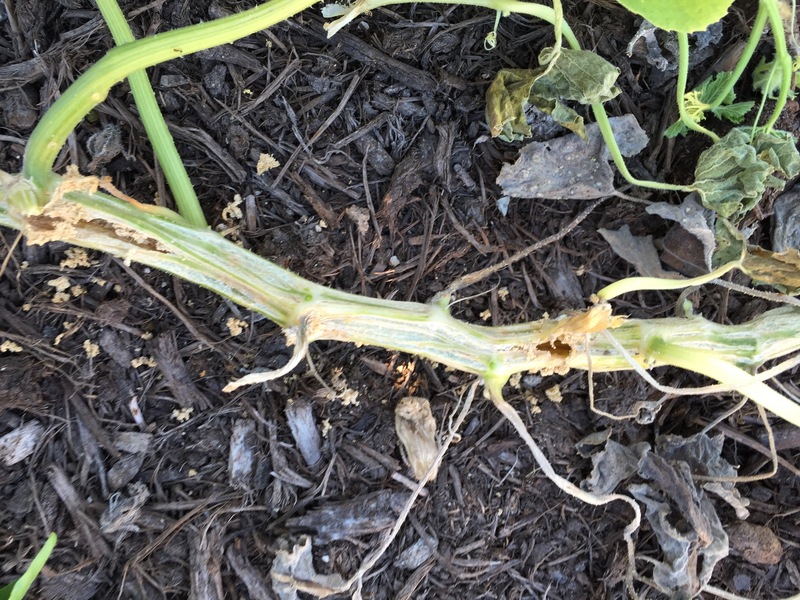 (If) “upon inspection, you find holes and/or sawdust-like material on the vine, you definitely have Squash Borers,” the article said. Yep, no doubt about it. I’ll follow the article’s advice to try to save the pumpkin, but it might be tough. 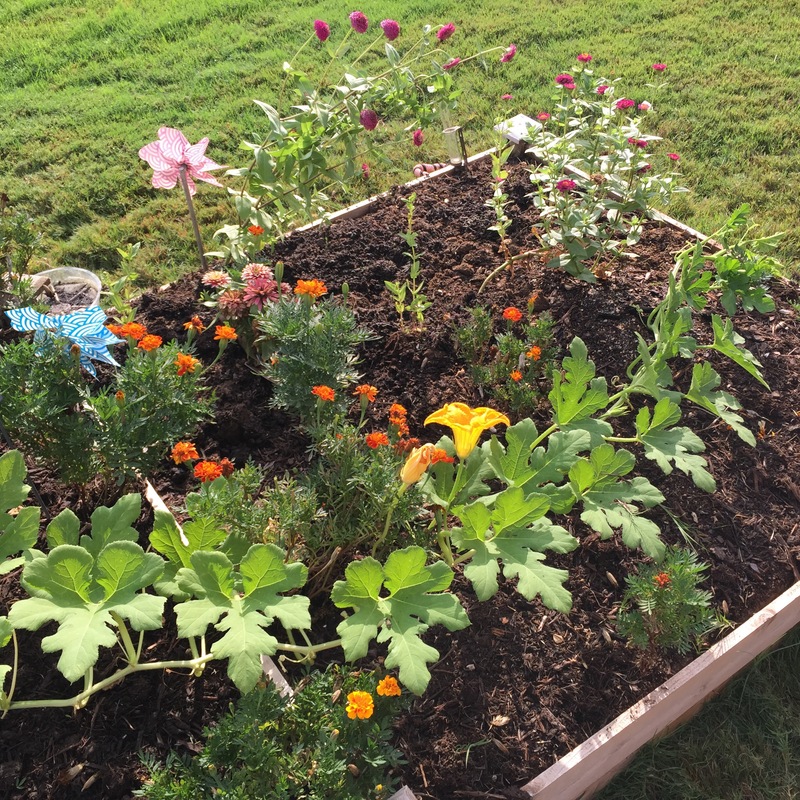 I’ll definitely have to watch Cosmos, the other, smaller pumpkin plant, more closely. I’m really counting on some pumpkins this fall. 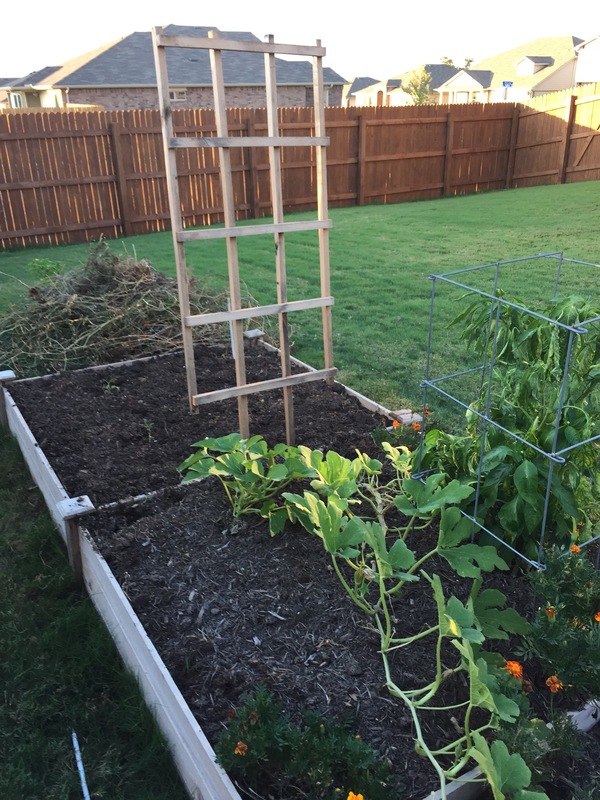 A good squadron of anoles will keep those squash flies at bay. By the time you see the damage from them (wilty leaves, flower drop), it’s too late. Pull ’em up. A daily walk and egg-smearing of the underside of affected leaves will usually prevent infestation, but it’s labor intensive!